Treatments will include a mixture of approaches to suit your case. We are trained in advanced hands on treatment, combined with a wide range of interventions to aid your recovery as speedily as possible. 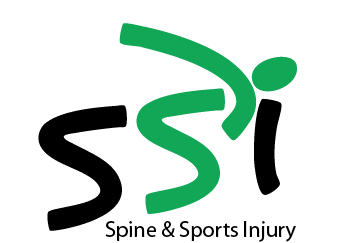 At SSi our goal is to return you to good health and function in the shortest time possible using our expertise in diagnostic examination, hands on treatment, exercise therapy and lifestyle advice. Following my initial visit you diagnosed the pain I was having in my ankle as acute Achilles tendonitis and am pleased to report that I’m now able to walk normally without pain. On the follow-up visits you gave me a series of progressing exercises to carry out at home that I did regularly. I would like to thank you for your clear explanation of the problem I was having and the way the exercises would assist in my recovery – your professionalism does you credit. I would not hesitate in contacting you in the future should I have any further problems. I had problems with a tight IT band and SI joint for some months. After making a diagnosis Alex explained what was wrong and why so clearly that even I understood! I had visited a physiotherapist and another osteopath previously, but any relief from the discomfort was either non-existent or minimal and very temporary. After three sessions with Alex, my pain and discomfort were completely resolved and Alex told me that I no longer needed him! He gave me advice on physical management and also exercises based on stretching to carry out at home should I feel any twinges at any stage in the future. I have applied these on several occasions after feeling some discomfort with successful outcomes. I came to see Alex with a muscular neck problem that I have been trying to self manage with no improvement. The fact that Alex now accepts Fast Track packs from my employer means that I have access to treatment without personal financial implication. However, I would have no issue with self-funding to see Alex as I have been particularly impressed with the time he has taken to explain the diagnosis and the rationale behind my particular treatment plan. The exercises that he advised me to continue at home have meant that I have been able to aid my own recovery to. I have been seeing Alex for treatment now for many months and would not hesitate to recommend him. He is friendly, approachable and above all knowledgeable. His suspecting that I have hypermobility syndrome lead to confirmation from my G.P, then an onward referral to a Rheumatologist to help me manage my condition in the long term. Alex is honest in the fact that he cannot cure my condition, but with tailored maintenance sessions the acute flare-ups have lessened in frequency and severity. This means that I am able to carry on with day-to-day life quite happily. I injured my elbow playing golf, hitting a bad bunker shot. I had one session with Alex during which he assessed the elbow joint. He diagnosed the injury as tennis elbow and I found him to be friendly and knowledgeable. I was lucky enough to receive an early diagnosis and could begin rehabilitating the joint straight away. He prescribed a series of exercises to rehabilitate the joint and I’m currently coming to the end of the rehab course; my elbow is feeling so much better, close to 100%. I would most certainly recommend Alex and have done so already to many people within the gym. Many people often ignore little niggles and pains which could then develop into something much worse; an early visit to Alex could potentially prevent this scenario. I would like to say a big thankyou to Alex Pouros. I had gone through a lot of regular NHS channels to try to solve my back problem and was recommended to him by my sister. When I first saw Alex I was in a lot of pain and unable to function with lots of daily tasks. After a couple of visits to things started to improve and he gave me simple exercises to do at home between visits. After a course of therapy I was beginning to improve by 90% and my confidence restored. Alex is a true professional with a very reassuring manner about him. I would certainly highly recommend him to my friends and family. Many thanks. We have a comprehensive library of exercises available for a variety of complaints, available for patients to view and print at any time. Our unique assessment protocol assess your biomechanics and identifies areas of dysfunction that may predispose you to sports injury. Lifestyle advice is also available to help you adjust the factors that may be contributing to your pain and improve recovery.